Ask any business owner who has suffered through a flood and you’ll hear these words: I hope that never happens to us again. But hope is not a strategy, and mapping out a business continuity plan for flood, fire, electrical outage, and yes, even civil unrest, is as important as locking up the building at night and having a properly operating alarm system. 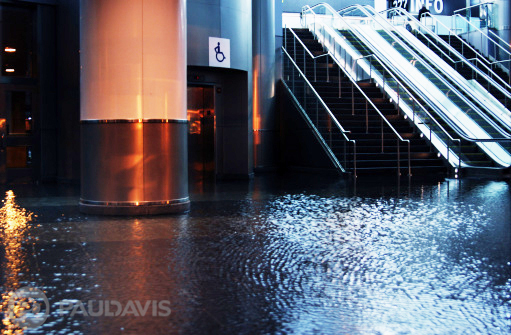 Your local Paul Davis company has on-staff experts with years of experience to help businesses develop comprehensive continuity plans that safeguard assets, inventories, customer and financial records, and more. The purpose? Ensuring that all Paul Davis customers regain their operational ability quickly and at the lowest possible financial loss. Business continuity planning is a process that need not be overwhelming. Most experts agree that following these four steps puts a business owner on the path to minimize disruption as well as customer defections — the hidden financial loss that can silently bring down a business even after it is fully up and operating once again. Step One. Identify your business continuity team members. Many will be key employees of your firm with specific operating responsibilities. But don’t overlook vital suppliers, insurers, local government, bank representatives and others who play a role in your business success. Their varied skills, resources and objective oversight can be extremely helpful. Step Two. Prepare a business impact analysis that predicts the consequences an interruption to your business will bring. Start with a list of possible interruptions from Mother Nature, accidental emergencies, failed service providers, disgruntled employee damage — whatever seems possible is worth listing. Then compute daily, weekly, monthly projections for lost and delayed sales and income. Outsourcing costs, overtime expenses, unexpected freight costs and more will add up. So, too, will any regulatory fines and contractual penalties. Step Three. Identify and document critical business operating functions and prioritize them. Communicating both internally with employees and externally with customers and vendors either by phone or online is often at the top of the list. Restocking inventory, running IT systems and rescheduling customers’ activity are important. Be sure to think about less obvious needs like payables, receivables, and cash flow requirements.